OzRoamer AWD Mag; New Subaru Crosstrek is "Far Ahead of Competition"
The all-new 2018 Subaru Crosstrek gets named best AWD sports utility vehicle under 45K. What’s it mean for consumers? A specialist recreational magazine and website in Australia says the 2018 Subaru Crosstrek (XV in global markets) is the best AWD sports utility vehicle under 45K, but what’s in it for families? According to OzRoamer’s annual Car of the Year (COTY) awards, the new-generation Subaru Crosstrek is the best all-wheel-drive vehicle under $45,000 (Australian) on the market for active families who want to get away from civilization. And in Australia, there’s plenty of secluded places to go. Both Impreza and Crosstrek are the first models to get the new architecture that improves driving characteristics, increases interior room, and it makes both models safer than any Subaru model ever built. All future new-generation Subaru models will get it. 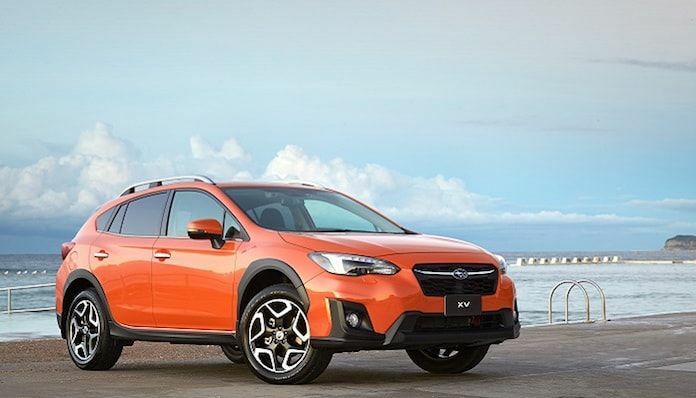 OzRoamer praises Crosstrek for its redesigned layout that focuses on the driver, sophistication beyond most others in the segment, and says it’s packed with features that you would normally associate with larger, more expensive vehicles. Subaru Crosstrek was redesigned for the 2018 MY and it also gets even more off-road features like X-Mode that give the small crossover a “go-anywhere” attitude. Now Crosstrek gets X-Mode as standard like its stablemates Forester and Outback. Subaru’s X-Mode is designed for extreme off road situations. When the wheels begin to slide or slip, the X Mode switch located near the gear shift, allows the driver to keep their foot off the brake and let the system do the work. This allows the driver to keep their attention on the road. While many SUV and crossover owners will never take their vehicle off-road, there’s a new-generation of adventure seekers who will with Crosstrek. Last year, the Subaru Outback 2.0D Premium was named AWD SUV $45,000-$60,000 in OzRoamer’s annual Car of the Year (COTY) awards. This year, the specialist recreational magazine and website names the all-new 2018 Subaru Crosstrek (XV) best all-wheel-drive vehicle under $45,000.